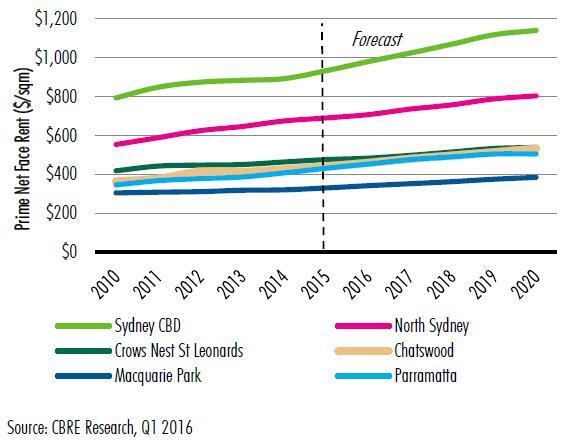 Sydney, 05 June 2016- Sydney CBD has recorded its strongest quarterly face rental growth in the first quarter of 2016 since 2011, according to CBRE’s latest Office MarketView report. Secondary net face rents were up 4% q-o-q to $598 in the first quarter of the year, while prime net face rents rose 3.5% to $968 over the same period. Felice Spark, Associate Director, Research, said the 2015 decade high absorption result of 157,000sqm in Sydney’s CBD, in conjunction with strong employment growth over the year, drove the jump in rents. In addition to this, Sydney was the only major CBD office market across the country which saw incentives decline over Q1-16, notably in the A and B grade markets. CBRE recorded a decline of 160bps in the prime grade market and 200bps in the secondary market over the first quarter of the year. The Sydney CBD supply cycle will peak this year with 79,000sqm at Barangaroo, 39,000sqm at 200 George Street and 12,500sqm at 333 George Street to be completed in the first half of the year. However, increased withdrawals will reduce the impact of this substantial supply pipeline. Once the supply cycle dries up by the end of this year, vacancy rates are forecast to start declining and are expected to reduce to 3.6% by 2018. Limited new supply in conjunction with a substantial amount of permanent stock withdrawals for residential conversion and the metro rail line will be the driving force behind the decline in vacancy to historical lows. Over the next 3 to 4 years we expect to see net face rents continue to rise and incentives reduce as a result of these supply dynamics. Jenine Cranston, Senior Director, Office Services, said secondary grade rental growth is expected to outpace prime rental growth in the CBD as the effect of secondary stock conversions and Sydney Metro stock withdrawals ripple through the market. “Limited availability of secondary stock, mostly due to the Sydney Metro project and residential conversions, will see the A Grade and to some extent, the suburban markets benefit. 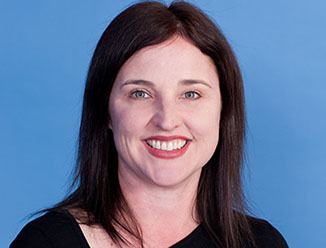 Vacancy is most notably tightening for property with net face rents under $700 per sqm,” Ms Cranston said.